Here are 20 people who are not afraid to speak their minds. Many people use their cars as billboards for their favorite band, politician, or opinion. 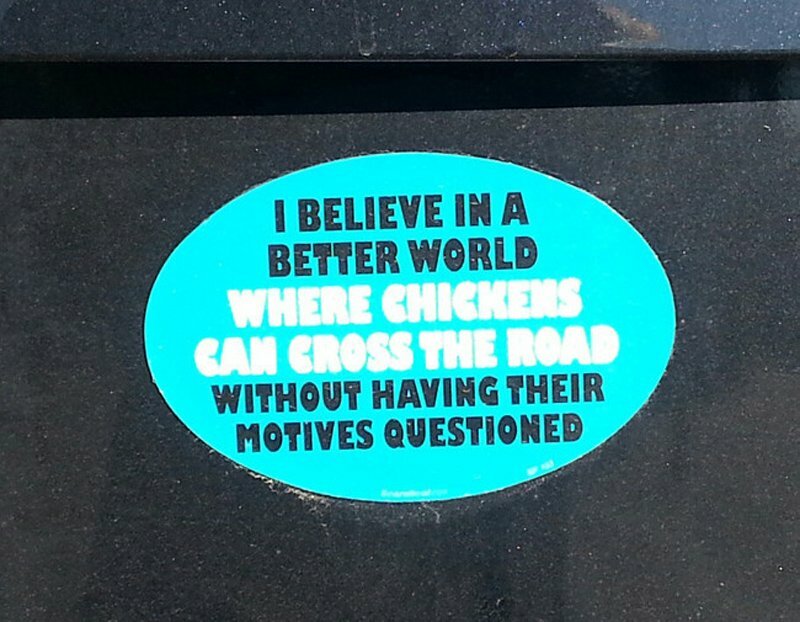 These bumper stickers range from the profound, the funny, the strange and the terrifying. 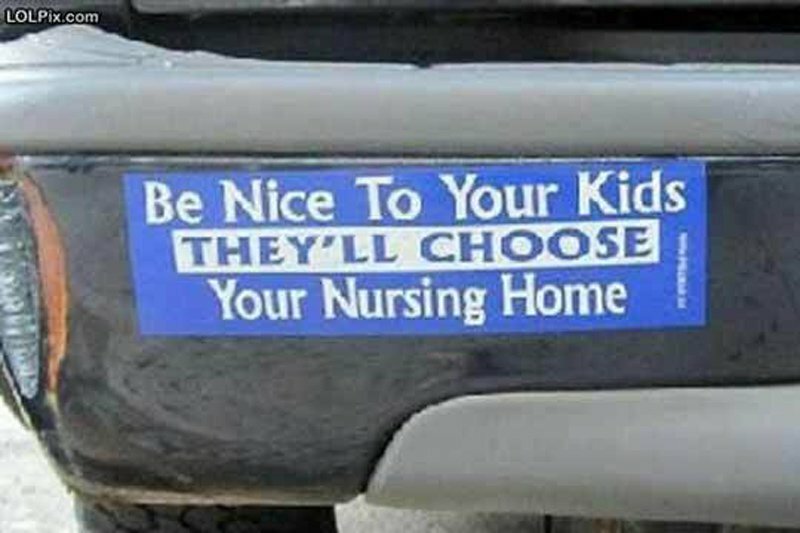 Many of them are made to make fun of other bumper stickers. All of them, however, are brutally honest and say quite a bit about the driver. 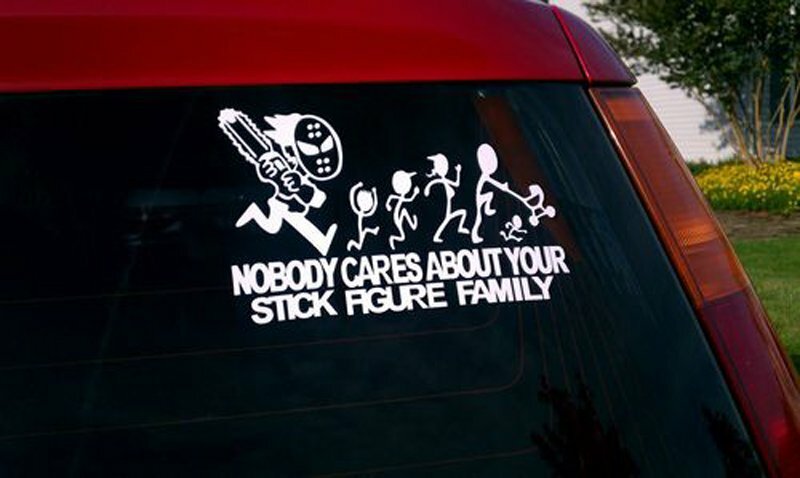 Prepare to laugh at these unique bumper stickers. It would be a better world. Those poor chickens always being questions about their actions. 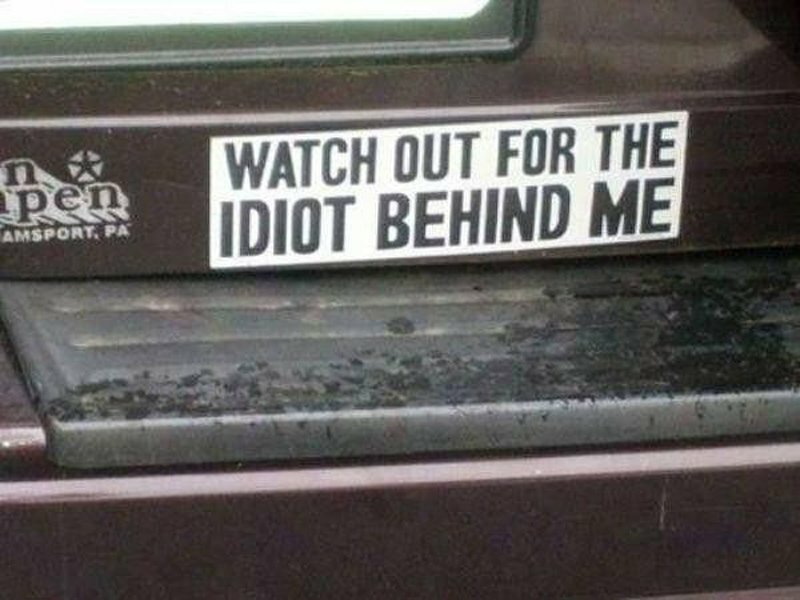 If you are reading this, presumably you are behind this car. Is he warning you about yourself? It’s something we all need to remember. Many decisions will be in the hands of the next generation, not the least of which is the decision as to where we will be spending our last days. This one is great. What would make it better? 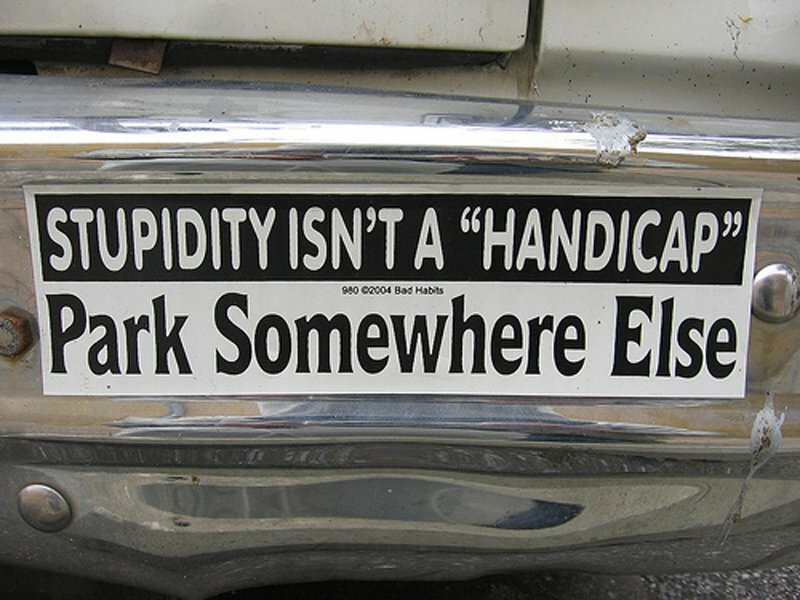 If this car was actually parked in a handicap spot.